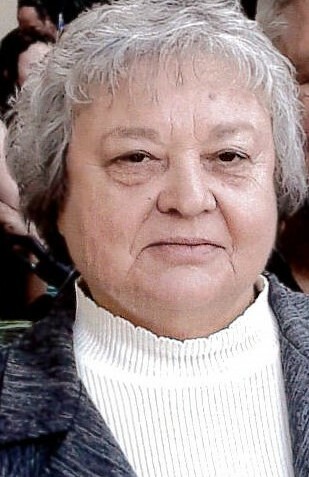 Dorothy May Ross, age 72, passed away Sunday, March 17, 2019 from complications sustained in an automobile accident March 11, 2019. She was born December 31, 1946 in DeFuniak Springs, Florida to Harry and Rosetta Williams Rowley. She was the tenth child of thirteen and all preceded her in death with the exception of one sister, Virginia Byrd Thompson of Pace, Florida. Dorothy was one of Jehovah’s Witnesses. She had many, many friends in the congregation who will dearly miss her and her many acts of kindness. Dorothy is survived by her husband Joe Ross who loved her dearly; two sons, Michael and William (Rick) Burnham whom Dorothy adored; two step-children, Sherri Weddington (Dan) and Eric Ross; several grandchildren and great-grandchildren who called her, “Nanna”; the father of her sons, William Burnham and special friend Teresa; and her special Witness friend, Estelle Crye. In keeping with her wishes, Dorothy will be cremated. A memorial service will be held at the Kingdom Hall of Jehovah’s Witnesses, 32 Peck Cawthon Road, DeFuniak Springs Friday, March 22, 2019 beginning at 2:00 p.m. with B. Scott Hatton officiating. Dorothy anxiously awaits the resurrection, a time of no pain or suffering.